Yesterday, at the Cornflower Book Group, Speaking of Love came out of the hat to be read next. It’s the fifth volume to be read by Cornflower Book Group members and discussion will begin from 12 April on Cornflower’s blog. 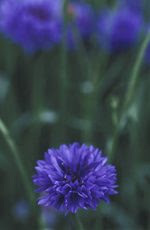 I’m looking forward to finding out what the Cornflower Book Group members feel and think about Speaking of Love (including the parts that didn’t appeal, didn’t work or that they just didn’t like) because, particularly if they say why, it’ll be grist to the next novel’s’ mill. I’ll also answer questions on the blog when the discussion gets going. This entry was posted in Speaking of Love and tagged Cornflower Book Group. Bookmark the permalink.